Selling toys, it’s more than child’s play. The notion of a brand having a noble purpose, something more than just profit or return on shareholders’ investment, is very much in vogue but as the story of FAO Schwarz shows it is nothing new. In 1856, Frederick, the youngest of three Schwarz brothers, emigrated to the U.S. from Germany, joining his brothers in Baltimore, Maryland. A few years later in 1862, the brothers opened ”Toy Bazaar” a specialist toy retailer. It was a success but wasn’t quite all what young Frederick had dreamed of. He had a bigger bolder vision of a magical toy emporium with one-of-a-kind toys from all over the world presented as a lavish theatrical experience. So leaving his brothers to run separate stores in Baltimore and Boston, Frederick moved to New York City where in 1870 he opened ”Schwarz Brothers – Importers” which he stocked with beautiful toys and playthings from Europe. The business grew rapidly and became the destination for unique, high-quality toys in New York. Frederick opened a second New York City location in 1876 to meet increased demand. He also moved into the catalogue business, creating one of the first mail order businesses in the country. Over the next 30 years, the store moved to larger, more prominent locations throughout New York City several times. By 1900, Frederick had renamed the stores ”FAO Schwarz.” They were considered by many to be the largest toy dealer in the world. Sadly, Frederick August Otto Schwarz passed away in 1911, but his beloved brand lives on. Towards the end of his life, he spoke about what drove him and not surprisingly, it wasn’t just money. Footnote: In 1986 FAO Schwarz moved to its famous site at 767 Fifth Avenue at 58th Street, complete with its iconic greeters, the real life toy soldiers and the large floor piano that has featured in a number of Hollywood films. To the dismay of many New Yorkers, it has recently announced that this store will close in July 2015 due to the rising rents costs. Most companies don’t have a mission statement which explicitly states that their aim is to get you doing something other than what the brand is about all, but then Pinterest isn’t ‘most companies’. Though at first it did seem that Ben’s timing was off; “A week later, the entire economy collapsed” and the friends who were going to join him were suddenly felt that maybe their jobs at Google weren’t so bad after all. Finally, their luck changed and one investor came through with a cheque. Ben used it as an excuse to call all the investors who’d said no previously; “You’re going to miss out, this is the hot deal.” It worked and they got more investment. 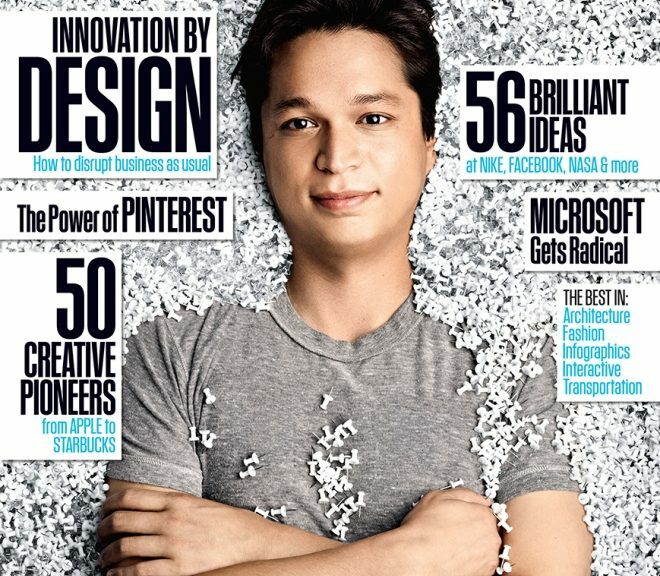 Ben asked Evan to join them and he is now credited as the third a cofounder of Pinterest. It was Evan who came up with the grid layout for Pinterest. The very first “pin” was put on the site, in January 2010. It was picture of a Valentine’s day present that Ben was thinking of buying for his girlfriend. Then in May 2010, a woman named Victoria helped organize a programme called “Pin It Forward” – a virtual “chain letter” where bloggers would exchange pinboards about what home meant to them. It was to prove a tipping point. Victoria, who is now the company’s community manager organised the first Pinterest meet-up and looking back Ben remembers thinking “That was the moment where I was like; ‘We’ve got it. '”hadn’t expected. One of the unexpected early boards was “Things That Look like the Deathstar” which included pictures of old teapots, puffball skirts and all manner of vaguely spherical things. Nine months after the launch the website had 10,000 users. The launch of an iPhone app in early March 2011, then brought in a more than expected number of downloads and on 16 August of that same year, Time magazine listed Pinterest in its “50 Best Websites of 2011” article. 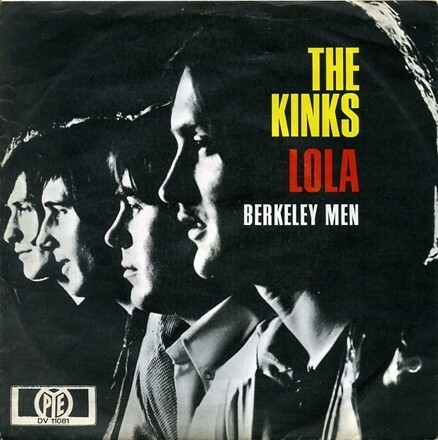 It is May 1970 and the classic pop song “Lola” by the Kinks is about to be released. A lot is riding on the song, the Kinks haven’t had a top ten hit for a number of years. But on the eve of its release, the band were informed that the BBC were going to ban it. Given this was back in 1970 and the song is all about a romantic encounter between a young man and a transvestite you might well suspect that it was the storyline that was the cause of all the fuss. However, the real reason was a completely different one. The BBC had decided that it wouldn’t play it because of the clear reference to “Coca-Cola”, which went against their “no product placement” policy. Given that Davies had written the song to be a comeback hit for the band ; as he was to say in his autobiography, he wanted something that would “sell in the first five seconds”, he wasn’t about to let it be banned. The problem was, back in those pre-internet, pre-sound-file days, the Kinks were on tour in the U.S. while the ‘Lola’ master tapes were back in U.K. The only solution was for Ray to get on a plane back to London and record some new lyrics. The revised version, now brand-less, was approved and duly played on the BBC. It went on to be #2 in the U.K. and #9 in the US chart, the massive worldwide hit, Ray and the band so desperately wanted. Davies describes the piece as: “‘Lola’ was a love song, and the person they fall in love with is a transvestite. It’s not their fault – they didn’t know – but you know it’s not going to last. It was based on a story about my manager.” Supposedly one night, the Kinks’ manager got drunk at a club and started dancing with what he thought was a woman. Toward the end of the night, the transvestite’s stubble started showing, but their manager was too drunk to notice. Cherry Coke w though tested before was launched in 1985. Building a truly great construction company – the Doug, Peter and Ron way. The fact that D-P-R aren’t the initials of the three founders’ surnames is the first of many differences of the DPR brand. There are in fact the three initials of the founders’ first names – Doug Woods, Peter Nosler and Ron Davidowski – a more personable and accessible way to name your brand. Doug, Peter and Ron set out to do things differently in an industry that has historically been very resistant to change. DPR started in July 1990, with $750,000 of capital, and as well as the trio of founders, there were eight more people. Amazingly, in 2015, seven of them are still with the company. Collins helped to identify and articulate the purpose and core values that continue to drive the company today. PURPOSE : We exist to build great things. · Integrity. We conduct all business with the highest standards of honesty and fairness; we can be trusted. · Enjoyment. We believe work should be fun and intrinsically satisfying; if we are not enjoying ourselves, we are doing something wrong. · Uniqueness. We must be different from and more progressive than all other construction companies; we stand for something. · Ever forward. We believe in continual self-initiated change, improvement, learning and the advancement of standards for their own sake. MISSION: To be one of the most admired companies by the year 2030. They recognised that the ‘elephant(s) in the room’ in their industry were unreliable price estimates, endless cost overruns, lawsuits, and recriminations between builders and clients and so set out to address them. It famously built the Pixar Animation Studios HQ, Charles Schwab’s data centre, Motorola state of the art semi-conductor plant and is widely regarded as the ‘best-in-class’ construction brand by industry experts.